After a cross-country skiing trip through a snowy valley by moonlight, I decided to paint a tribute to this romantic adventure, with the exception of the skis. 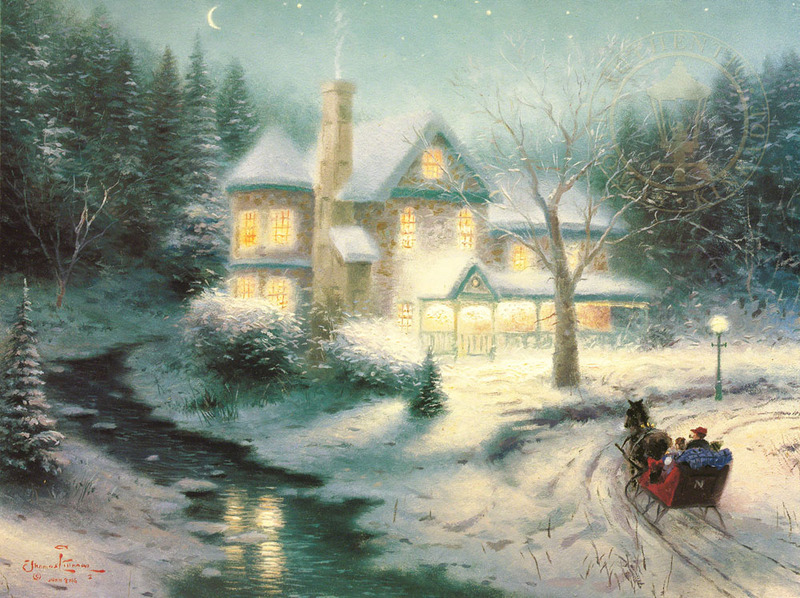 Instead, a nostalgic sleigh whisks through the moonlit forest. What could be nicer than returning to the inviting glow of a warm fireplace after a frosty evening sleigh ride?